Flat Head Syndrome most commonly occurs when a baby develops a favoured head position and as a result the sides or back of the skull becomes mis-shapen from the constant pressure on one spot. The gentle hollowed out design of the Mije Baby Head Rest helps eliminate the pressure on a baby's head that causes the flat spot condition in young infants. 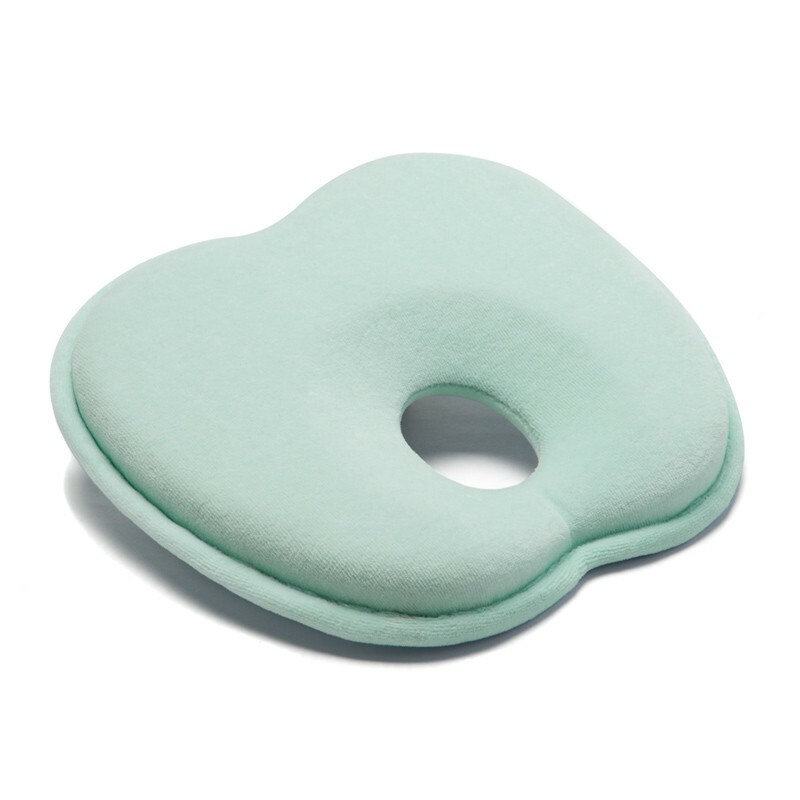 Made from shape memory foam with a soft cotton cover, this head rest is the ideal shape to support a baby's head and reduce the risk of Flat Head. The Baby Head Rest can be used in a variety of places: in the cot with the baby positioned on their back, playing on the floor, in a stroller or even in a car seat. The head rest does not restrict the natural movement of a baby's head. The Baby Head Rest is recommended for newborns 0-4 months of age or until the baby has begun to roll. It should only be used while the baby is on their back. 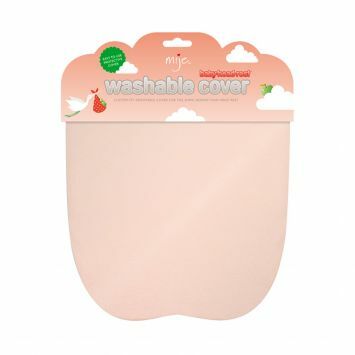 The Mije baby head rest is not a pillow and does not lift baby’s head. Rather, it provides gentle cradling to eliminate pressure on the skull. 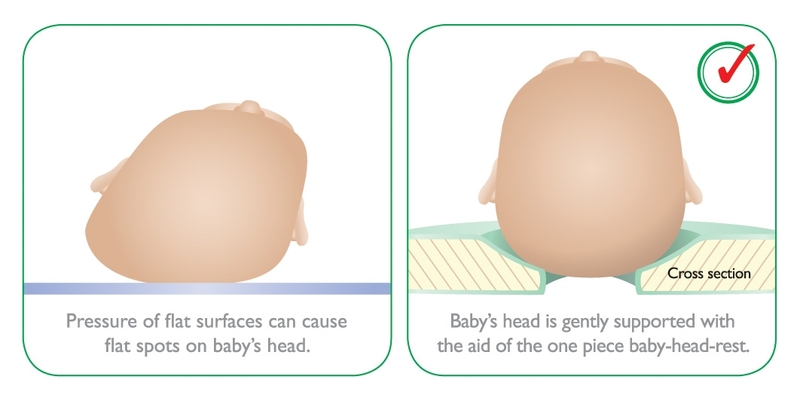 Using the baby head rest from day one may dramatically reduce the risk of baby developing flat-head syndrome and the need for corrective treatment, such as helmet therapy. Seek medical advice about any change in your baby's head shape. Do not immerse the Baby Head Rest in water as this will harden the memory foam. Hand spot clean only.